Clearly, it is not irrational for the Tax Tribunal to decline to extend a tax exemption to every act that declares itself a “dance performance.” If ice shows presenting pairs ice dancing performances, with intricately choreographed dance moves precisely arranged to musical compositions, were not viewed by the Legislature as “dance” entitled a tax exemption, surely it was not irrational for the Tax Tribunal to conclude that a club presenting performances by women gyrating on a pole to music, however artistic or athletic their practiced moves are, was also not a qualifying performance entitled to exempt status. To do so would allow the exemption to swallow the general tax since many other forms of entertainment not specifically listed in the regulation will claim their performances contain tax-exempt rehearsed, planned or choreographed activity. The court is correct in pointing out that there are other planned performances that are not exempt, but their decision still rests on a value judgment on what is or isn’t “qualifying.” It’s true that many other forms of entertainment don’t get the exemption that theatrical performances do; not rock bands, not burlesque performances, not (great example!) ice dancing. So it’s not that the dancing at Nite Moves fails to qualify as art, it’s that it, like these other taxed performances, isn’t highbrow enough for the exemption. The majority opinion also calls into question expert witness and exotic dance scholar Judith Lynne Hanna’s testimony, which was based on observation of stage performances and not private dances, asserting that there is not sufficient proof that they are the same types of performances. Whether or not that would have actually made a difference, we’ll never know. The ruling of the Tax Appeals Tribunal, which the majority upholds, makes a distinction between highbrow dance and lowbrow dance that is not to be found in the governing statute and raises significant constitutional problems. I therefore dissent. The majority implies that since the Legislature did not exclude from the entertainment tax other lowbrow forms of entertainment, such as baseball games and animal acts (see majority op at 2), it would not have wanted to exclude pole dancing; but the issue is not what the Legislature would have wanted to do, but what it did. If the Legislature wanted to tax all “choreographic . . . performances” except pole dancing, it could (assuming there are no constitutional problems) have said so, but the Tribunal has no authority to write that exception into the statute. I have little sympathy for clubowners who are creatively trying to avoid paying taxes while collecting a large percentage of dancers’ earnings and believe Nite Moves should pay their damn taxes. But the language of the NY tax code really doesn’t back this judgment and should be rewritten, else I imagine challenges like this will continue. *read the opinion. It’s brief and interesting. I do agree that the derision is weird and out of place. I mean, it wasn’t even as if it was the dancers claiming the discount. Why are we referring to them so dismissively? You have a club owner trying to exploit what appears to him to be a loophole in the law. Wow. Nobody not in the adult industry has EVER DONE THAT BEFORE. 1) The applicable law as it’s written now is too vague. 2) Choreography does not equal dance. 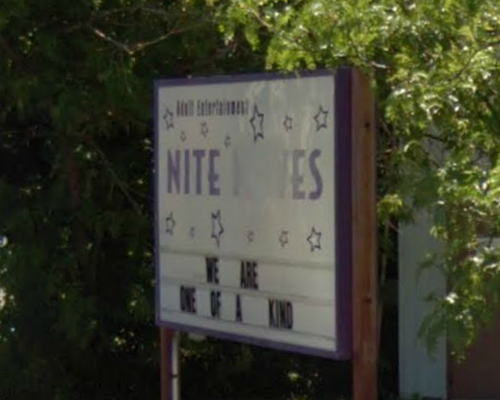 I agree with the effective result of the decision insofar as it does not give tax-exempt status to Nite Moves. Taxes are taken by the government, which [theoretically] turns them into public capital: assets like transportation systems, domestic law & order, and utilities which are the necessary infrastructure to support a capitalist economy. Most individuals [including corporations if you see them as such] would not be able to afford to lay their own roads or hire a sufficient police or military force to defend their interests. Tax exemptions exclude individuals or corporations from certain designated tax statutes, like those imposed on entertainment income, or liquor, or wages. They are not absolute exceptions. After reading the relevant code, it seems obvious to me that the spirit of the exemption law is to lessen the required financial contribution to public capital for those who are contributing other [non-financial] assets to public capital. Charitable organizations contribute to domestic law & order [which lessens the need for government spending on police & courts] by providing for those in dire poverty who would likely otherwise turn to crime. Education is a part of public capitol, and academics overwhelmingly agree that incorporating certain *ordered* [not choreographed] artistic experiences helps us develop our creative thinking: our innovation and problem-solving [capitalist] skills. Ballet, for example, consists of ordered performances. If any two observers, who are basically familiar with the elements/structure/history of ballet, both see the same performance of a ballet that neither has seen before or has any outside information about… they will agree on a certain amount of interpretation of the performance: the events, the characters, whether it was a romantic tragedy or an impression of a dying swan. To put on a ballet performance the performers first have to learn ballet within the confines it’s established as an art, and has created its own economy of schools and apparel and more. Skills like ballet also make our students more marketable to the best schools, which improves the quality of our labor force and creates more entrepreneurs. …and I have not yet worked in a club I would consider more intellectually beneficial than fun. The longer I think about this the less sure I am that I actually approve of the Right Thing being done for the Wrong Reason. Yes, it is true that just because tens of thousands of people do the Macarena in a baseball stadium, that doesn’t not qualify the baseball club for tax exemption. -but the club, who is receiving money from the dancer in exchange for providing the building/bouncers/music/advertising/etc. would still be making their money off the dancer. Or maybe there’s something I’m missing? The ruling mentions that the club was seeking to be included in the exemption for: “the admission charges and private dance performance fees it collects from patrons” — notice, that IT collects “from patrons”. So the wording would seem to say to me that what is being taxed here are those amounts that are paid from the customer to the management, clearly including the cover (admission) charge and whatever is paid directly to the club for the private room. It’s legally a sales tax on the entertainment _venue_, not on the entertainERs: the entertainers are always liable for _income_ taxes on their take for the performance even when it’s art (of course, the management will seek to skim the tax burden off of the entertainers’ and employees’ share, but that’s another story). So as stated, you enter the club, pay a cover – that gets the showtax added on. You sit in the main room, tip at the rail, no showtax, it’s a tip not a sale. Go for a VIP section/private room and have to prepay a VIP/private room fee to get in: showtax applies. (*) But they don’t discuss what happens if you do not rent a private room or pay to go into the VIP area but get table dances right in the room at $25 per, paid at the end. Also they don’t go into whether if the dancers are private contractors who pay to dance, could there be a taxation on the housefee or the club’s share. I can imagine clubs tacking it on there. (*)I’m not familiar with what’s the private room practice in Upstate NY, whether they use the NY City system where you pay a full rate to the club, and they then settle with the dancer, or the system used in other parts of the country where the customer pays one amount to the club just for “the room” and separately pays the dancer for the dance itself.